LKQ CFO Nick Zarcone reassured an analyst Thursday that even at a dealership, a body shop has little control over the parts selected for a vehicle. A stock analyst on the company’s third-quarter earnings call had wondered whether advances in modern vehicles would require mechanical and collision repairs, even post-warranty, to be done at dealerships. He appeared to be referencing OEM-affiliated dealerships, not independents. For real-world customers — including apparently an analyst that follows LKQ — this is probably news, particularly to those consumers using a dealership and not reading their insurance policy carefully. For the body shop and insurance industries, this pliancy should be relatively familiar. 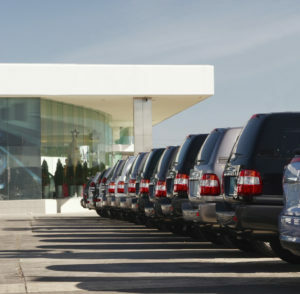 In some cases, such as where a customer’s policy allows non-OEM parts and the customer refuses to pay out-of-pocket for an OEM one, it might be unavoidable and understandable. But in others, shops should understand that they ethically and potentially legally are responsible for how they repair a vehicle and parts selection decisions. They also need to understand what role — besides cost-cutting — an insurer and customer might expect a shop to play in a repair as well as what the terms of an aftermarket manufacturer’s and insurer’s warranty mean for them. LKQ CEO Rob Wagman gave the analyst some additional perspective Wednesday. “The technology is not insurmountable” for a non-dealership technician to fix and calibrate, he said, citing conversations with MSOs. He said a more important question was whether LKQ’s aftermarket Taiwanese manufacturers could replicate some of the advanced materials appearing. “They’re seeing no issues whatsoever acquiring the correct aluminum or the high-strength steel,” he said.